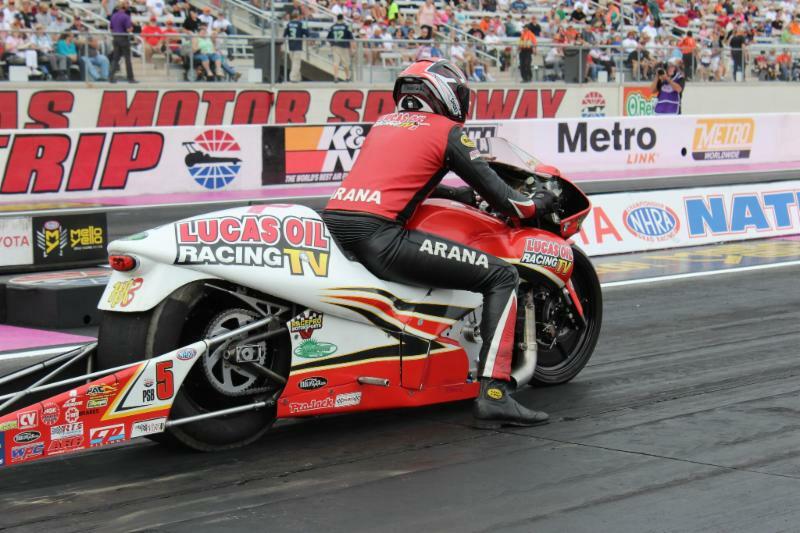 During last year’s installment of the biggest drag racing event in the world, Arana piloted his Lucas Oil Racing TV Buell to the final round, but he came up just short of capturing his second “Wally” trophy in Indy. Although he won the prestigious Indy title in his rookie season of 2011, last year’s foul start by the New York resident ended the final round before it even started. Although he’s a native of Miami, Arana spent almost half of his life growing up in Indiana and has a business degree from Purdue University. 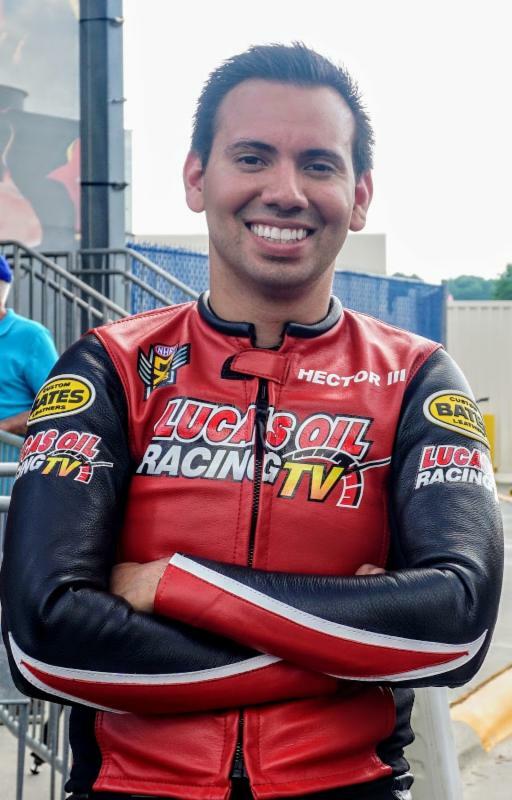 He only recently moved to New York after marrying Nicole Nobile, sister of Pro Stock ace Vincent Nobile. 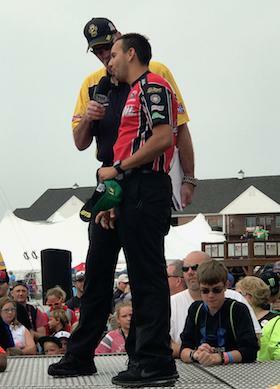 Still sidelined as he recovers from shoulder surgery, Hector’s father, teammate, and team owner Hector Arana Sr. will be in attendance in Indy to help his son’s effort of getting a second U.S. Nationals trophy. Arana Jr. qualified in the No. 1 position at the previous event in Brainerd, Minn., but was unexpectedly defeated in the quarterfinals of eliminations. Despite the loss, Arana is encouraged by finding the source of his motorcycle’s lack of power. Pro Stock Motorcycle drivers can make five qualifying runs, beginning at 7:15 p.m., Friday. There will be two more sessions at 2:30 and 6:15 p.m., Saturday, and another two at 11:30 a.m. and 3:15 p.m., Sunday. Eliminations are slated to start at noon, Monday.